Packs include a selection of 100% cotton fat-quarter fabric pieces, each measuring 22" x 18". All fat-quarter packs are carefully chosen and prepared by our staff. If the fat-quarter pack is shown within a fabric line, each of the eight fabrics is exclusively from that line. 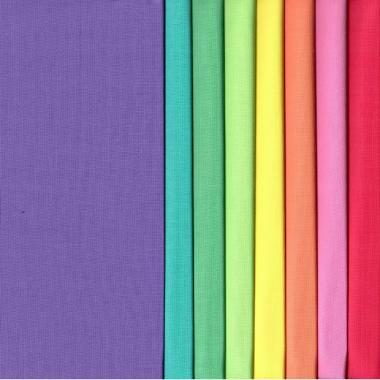 If the fat-quarter pack is shown in a colorway or category, the fabrics are from various first-quality lines.